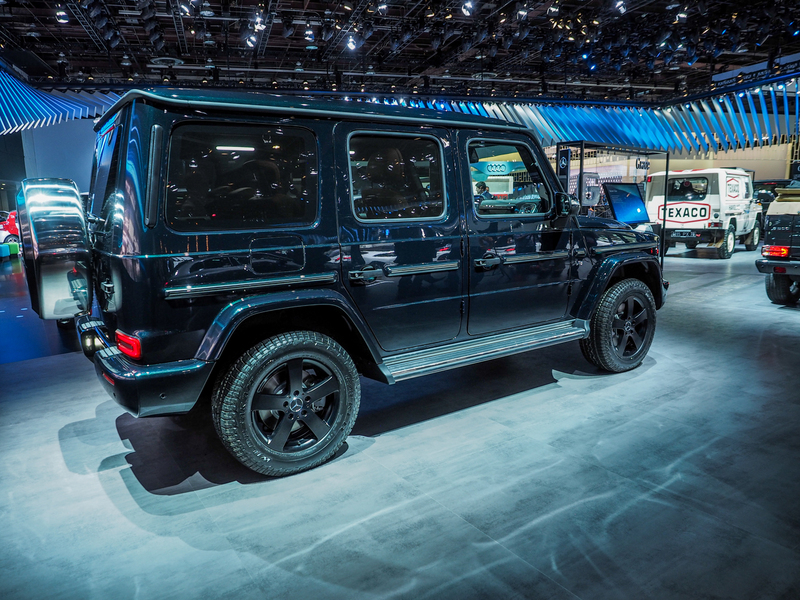 The Mercedes-Benz G-Class (or G-Wagen or Geländewagen) is a sort of love-it-or-hate-it car. Some hate it because of its popularity with rich, Beverley Hills-types who know nothing of its capabilities and only drive it as a fashion statement, like the Kardashians. However, those who are in the know love it for its insane off-road capability, utilitarian looks and just pure badassery. Personally, I’m in the latter. 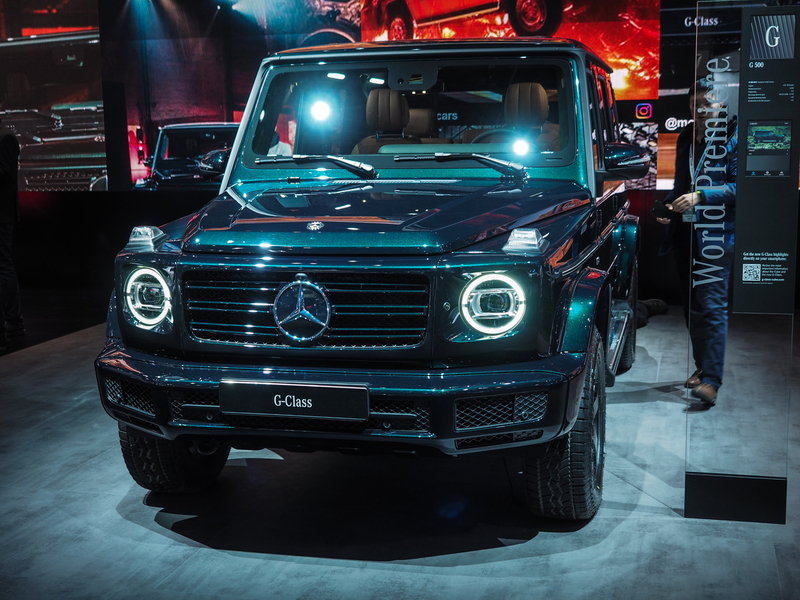 I’m a big G-Wagen fan. 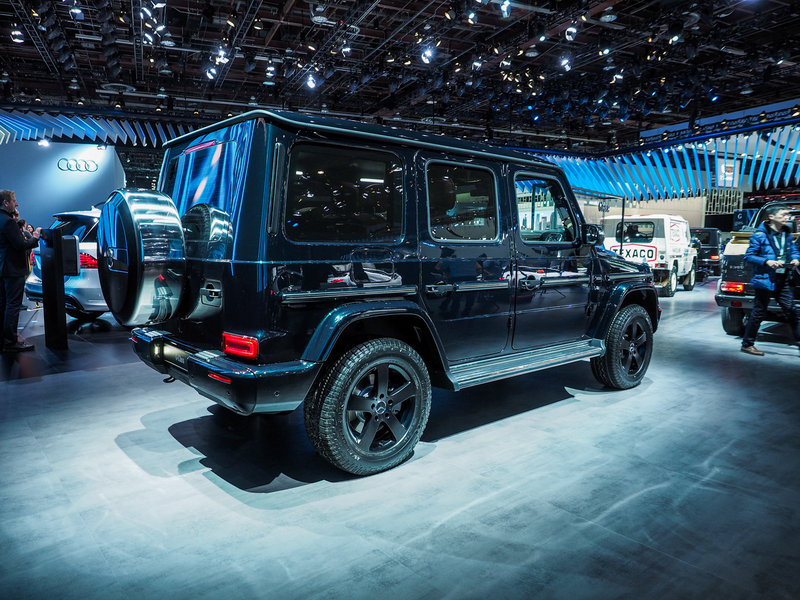 For us folks in that latter group, it’s exciting news that Mercedes-Benz has finally released an all-new G-Wagen, the first one in almost 40 years. 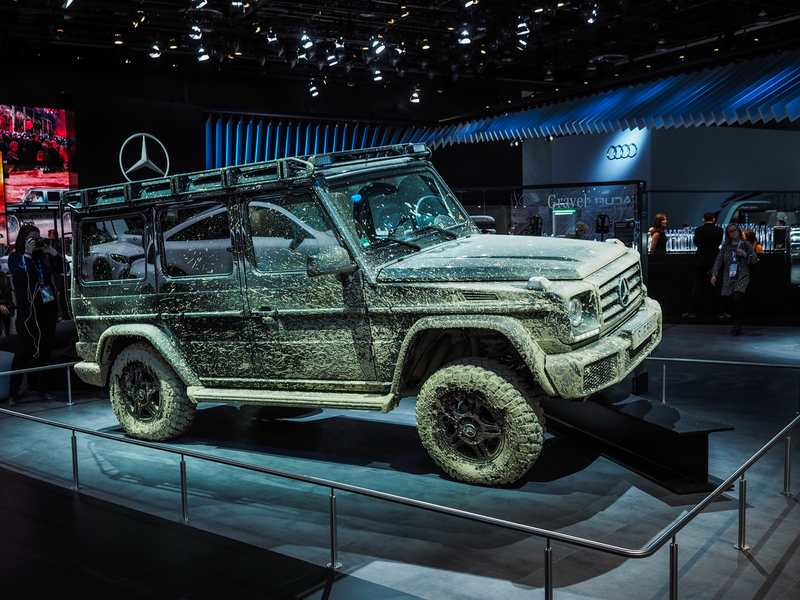 1979 is the year the original Geländewagen debuted to the public and it was originally intended for military use. It was a serious off-roader, not something designed to coddle rich, famous-for-being-famous types. And it still is, despite the fact that the most difficult of terrain most of them will ever see is the gravel driveway of their owners’ Nantucket summer homes. To this day, the Mercedes-Benz G-Class remains one of the most capable, if not the most capable, production off-road vehicle on the market. And this new one, which is literally the first all-new version of it since its 1979 debut, is no different. 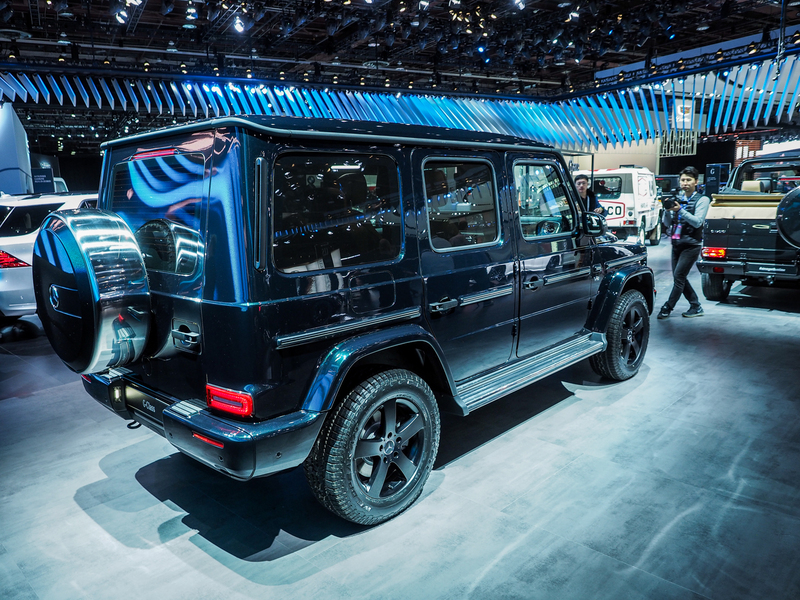 Mercedes was wise in keeping this new G-Class’ design almost identical to its predecessor’s. 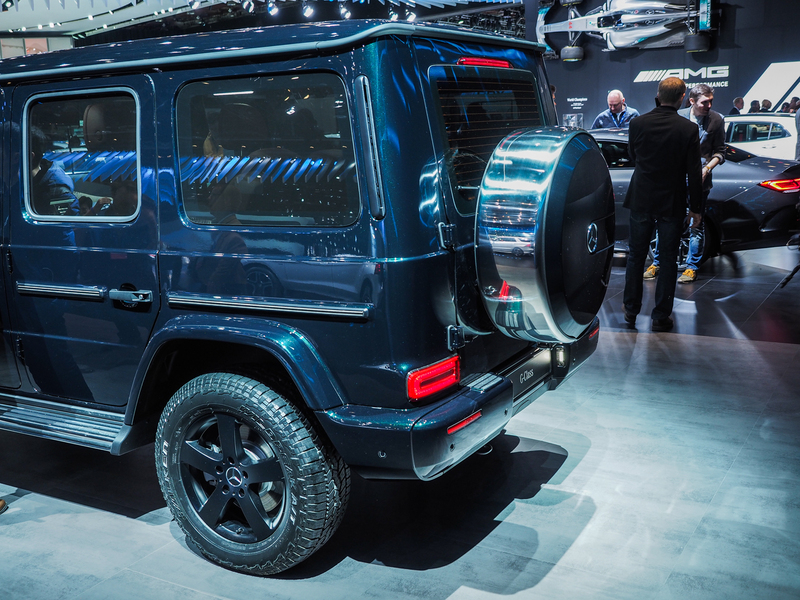 While 99 percent of the 2019 G-Class is entirely new, except for things like the spare tire mount, it’s damn hard to tell it apart from the old model. 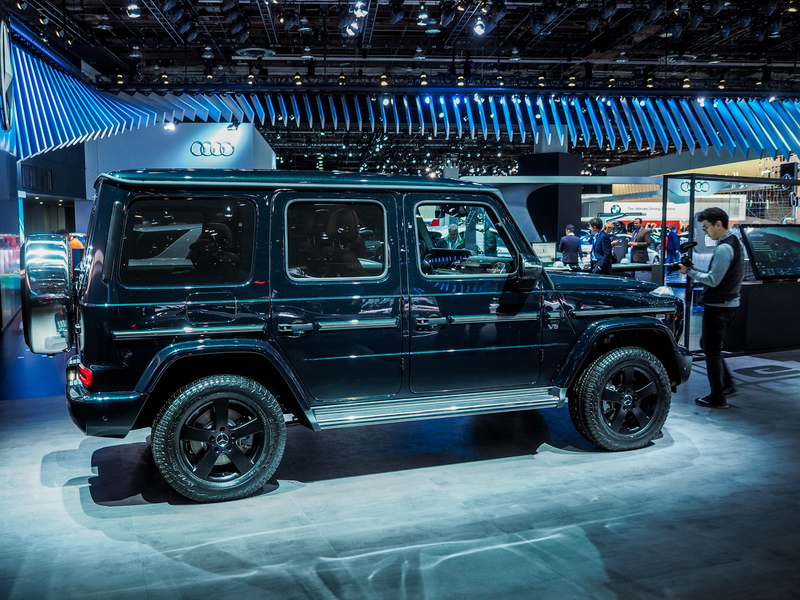 That’s a good thing, though, as the G-Class has a very loyal following and its looks are part of its charm. Changing that would be bad for business. However, it was incredibly difficult to make such a boxy, squared-off car meet modern crash and pedestrian impact regulations. So a big kudos goes out to Mercedes-Benz engineers and designers for being able to pull it off. The new car looks great, with the same boxy ruggedness that it’s always had. Now, though, it gets flashier LED headlights and some nice little touches to make it seem more premium, more worth its six-figure-plus starting price tag. Inside, though, it looks much different. It also looks much better, as there’s far more luxury and technology than ever before. The dash looks great, with those circular air vents and I love how prominent the three locking differential buttons are, showing that this is a serious off-roader even if it looks like a luxury car. 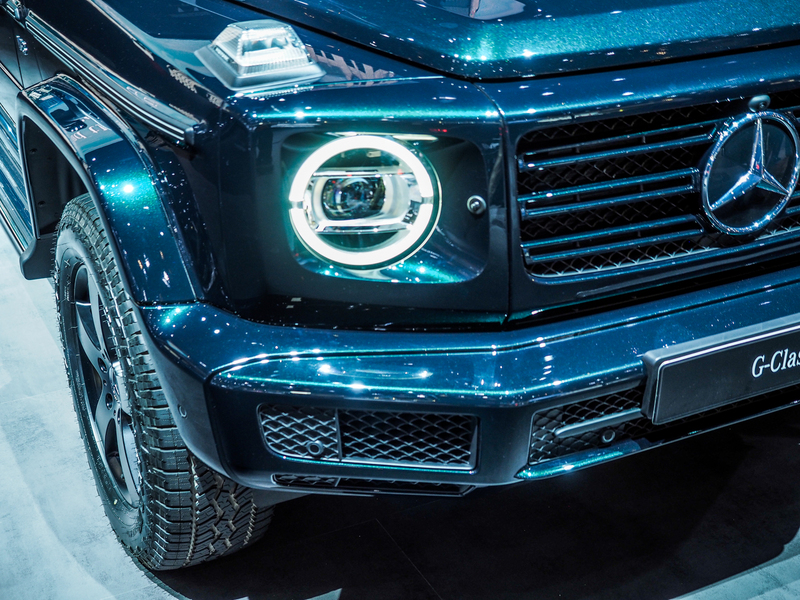 Under the skin, the new G-Class is all new. While still featuring an old-school ladder frame, it’s significantly lighter and stiffer than before. It does still have a solid rear axle (something off-road purists will be thankful for) but its front suspension has now gone independent. Double wishbone suspension up front now allows a rack and pinion steering system, rather than the old recirculating ball setup, which is far more accurate and easier to live with on the road. 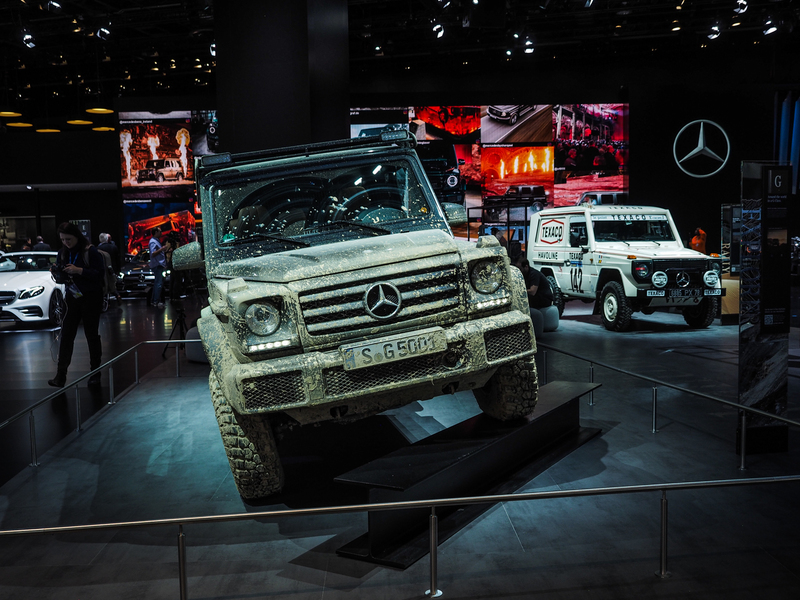 Mercedes-Benz also insures that the independent front suspension is just as capable off road as the old solid axle. 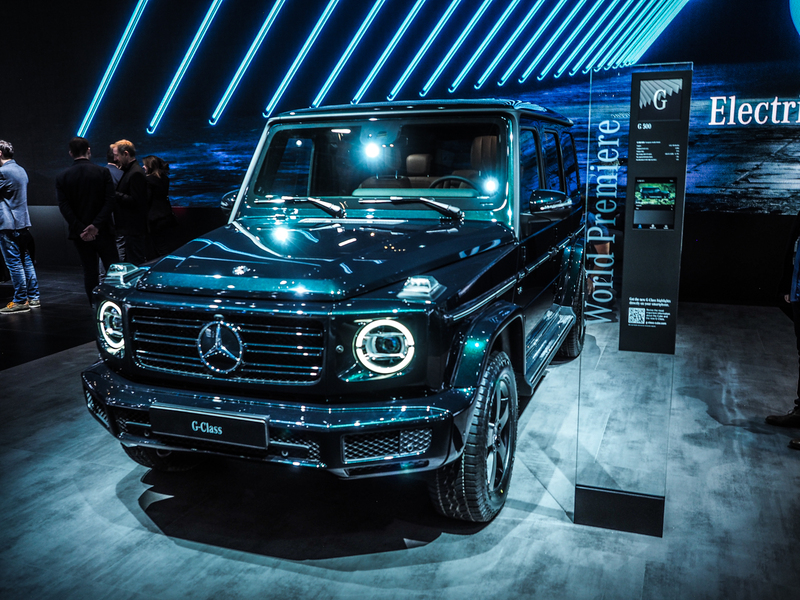 The only variant that currently exists is the Mercedes-Benz G550, which uses a 4.0 liter twin-turbocharged V8 that churns out 416 hp and 450 lb-ft of torque. There will be hotter AMG models but they’re unnecessary and more just for the flash of AMG than anything else. 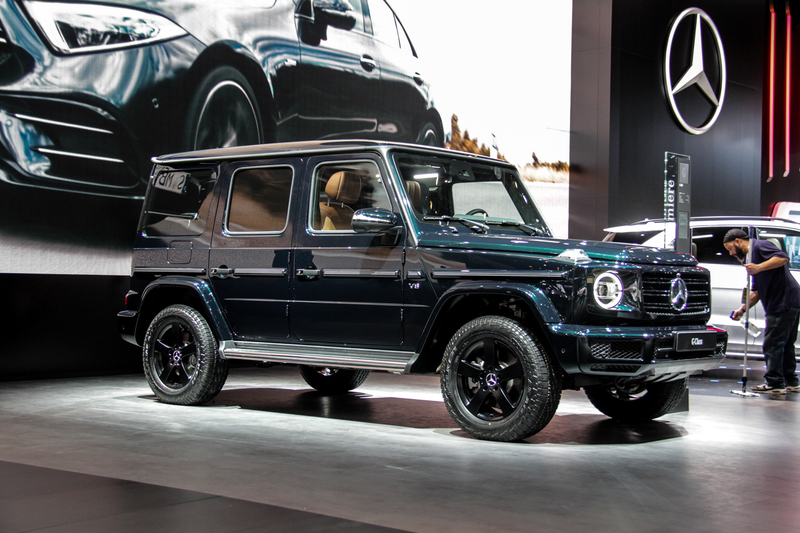 If you want your G-Class to be a proper G-Class, the G550 is just fine. It would be nice to see some diesel models as well, though I doubt that would be in keeping with its clientele base’s image. 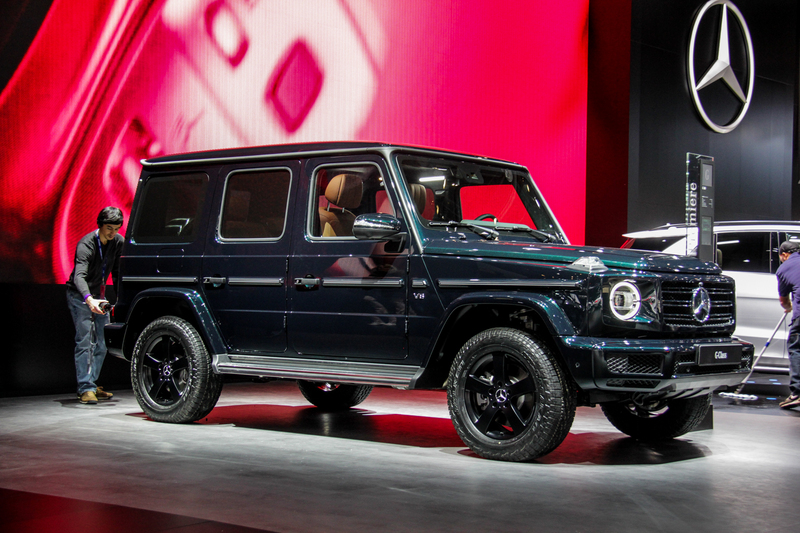 Personally, I love this new G-Wagen. I think it looks great, slightly better than the outgoing version of the car, and its interior looks great, too. 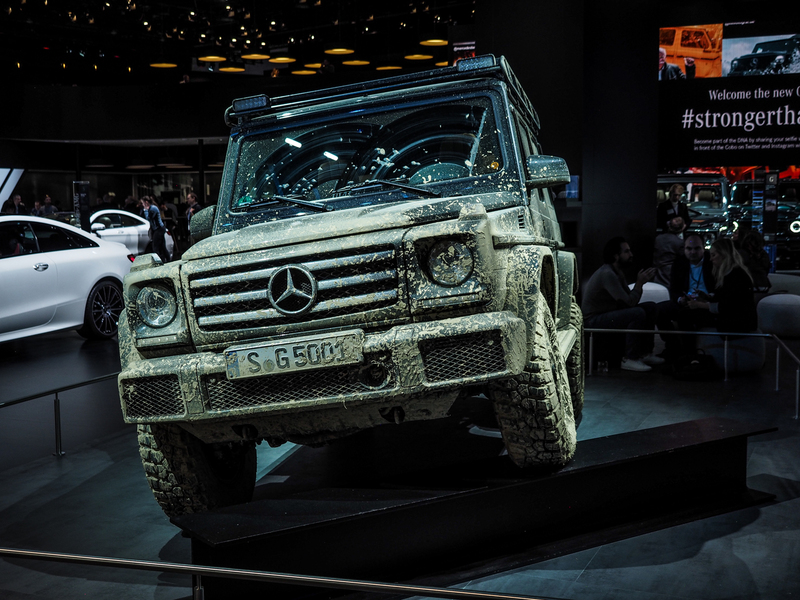 I love how Mercedes has kept it faithful to its off-roading heritage and hasn’t given it a unibody chassis or independent rear suspsension. It’s been given just enough creature comforts to make it much better on the road while keeping it a beast off of it. Good job, Mercedes.